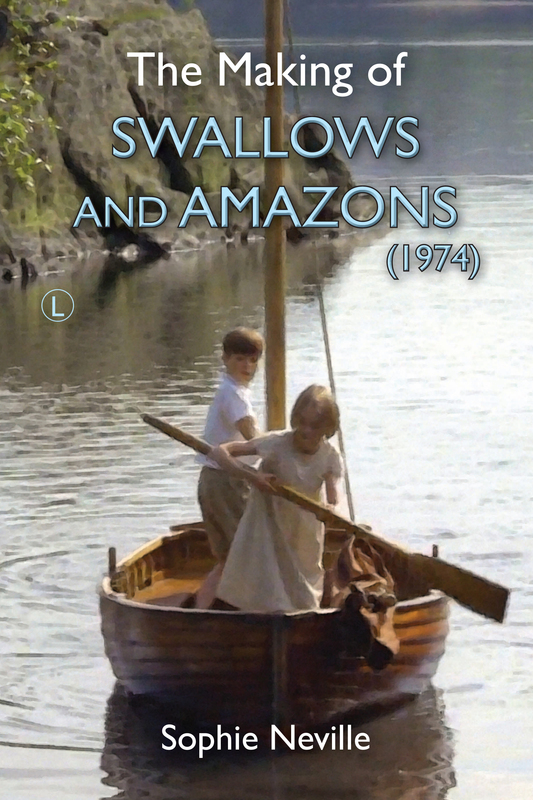 ….this was how I reported on what must have been a complicated and well planned film schedule back in 1973 when Arthur Ransome’s book Swallows and Amazons was made into a movie. I have three volumes of diaries, kept in the same italic hand-writing, detailing what we did, and indeed what we said, on every single day. I was aged twelve at the time so the English is childish. They do need editing violently. I even recorded when we filled up the car with fuel. But, as a little bit of film history they provide the facts from an interesting angle. My mother would be pleased to know that I have started to type them up. She’s been nagging me for years. I had been very lucky to be picked out of all those hundreds of children for one of the six children (the characters in the story). I had been in a film (a television play) with Claude, the director, before but only for three days. He short-listed me for the part of T itty. I was then chosen with 22 others for a sailing holiday (a weekend in Burnham-on-Crouch) to see how we reacted and sailed. In about a week’s time they rang up top say I had got the part and Mummy a chaperone. The Lake District gets very busy in the summer, so busy that I imagine Richard Pilbrow, the producer, decided to film during the summer term. This was a bit of an issue as I was at a convent boarding school and my parents needed the formal permission from Sister Anne-Julian, my headmistress. She came back to them saying that she had prayed about it with my housemistress Sister Allyne. They gave us the go ahead. The filming started on Monday 14th May. ‘The last day for most’, as I put it, was on Friday 6th July – forty six days of filming with a full crew for a ninety minute movie shot entirely on location. We had a few ‘pick-up days’ tacked on afterwards with a sketeton crew. 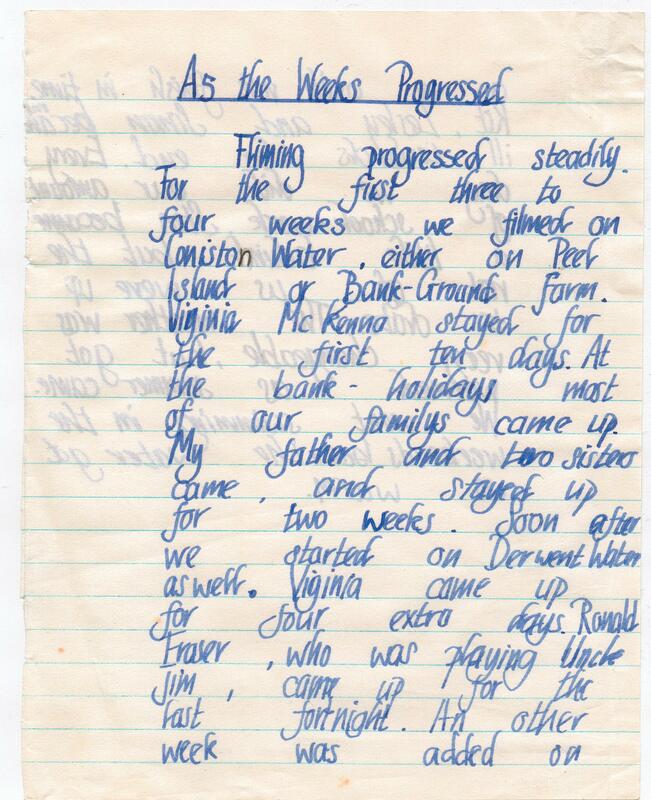 On Friday 11th May 1973 Mum saw my father off to work, dropped my two little sisters at school and took me for a medical test to satisfy the County Council. What would they have done if I had been deemed unfit at that stage I do not know, but I had already passed medical tests for the company insuring the film, so this must have been a formality. My mother then bought me a paint box, a brush and a stash of hay-fever pills before driving up the motorway from Stroud to the Lake Dristict – a journey of about two hundred miles.